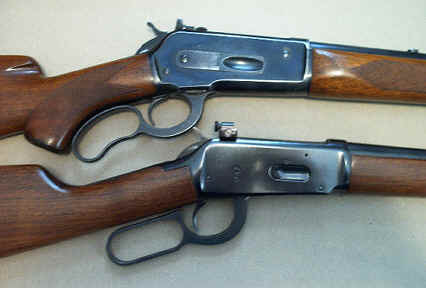 The Model 1886 was designed during the black powder era for large black powder cartridges. Chambered for a variety of calibers including the .45-70, the Model 1886, was adapted to a new smokeless powder medium bore cartridge called the .33 WCF in 1902. 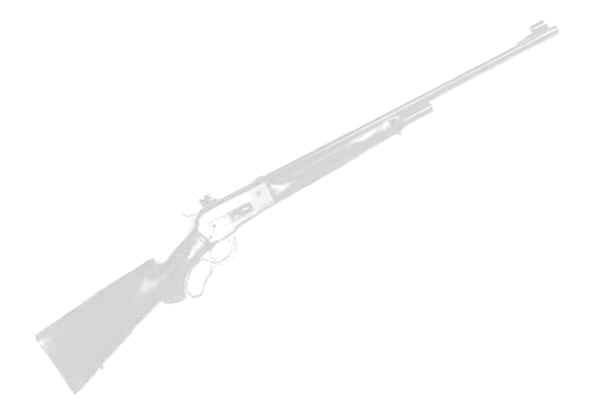 The .33 Winchester was intended for hunting large North American game and used .338" diameter bullets, the same size used in today's .338 Magnums. However, by the 1930's the .33 WCF was looking a bit underpowered. 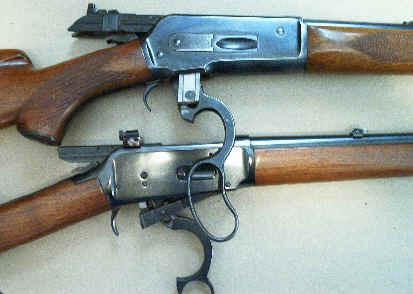 That and the increased costs for the production of the 1886 (along with the slowdown of the economy) had Winchester looking around at ways to cut costs in the production of the big leveraction. 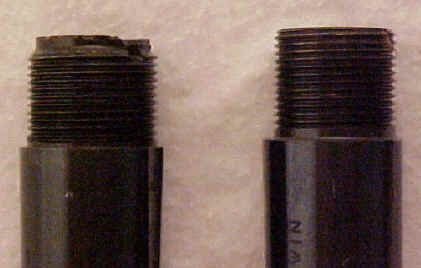 A redesign of many of the internal parts along with the introduction of a new caliber was Winchester's plan to get the costs down and to market the package. 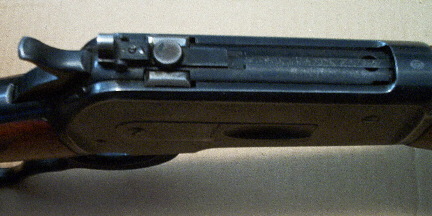 The redesigned '86 was renamed the Model 71 and the rest, as they say, is history. 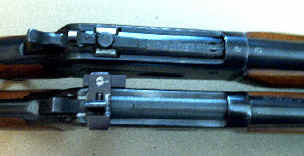 The rifle was produced in only one caliber .. the .348 WCF .. and it is the only factory rifle ever chambered for this round. cast bullet - sized .348"
jacketed bullet - 200 gr. 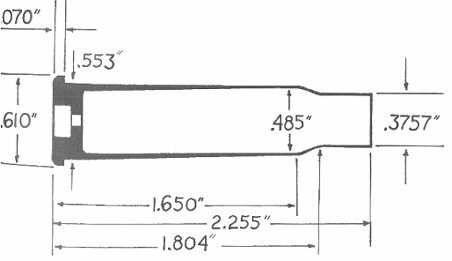 Winchester JSP - OAL 2.78"
With a 200 yard zero you can basically hold "on" to 250 yards. That is further than I would take a shot at game animals, using the iron sights. To be fair the to animal I would stalk closer. I have not hunted with the Model 71 all that much. I have shot some coyotes and deer with it. I used it in Arizona while hunting horseback and shot Mule Deer and Coues Deer with it. In Missouri I have used it to hunt and take Whitetail Deer. I found the Hornady 200 gr. bullets too tough to expand well on the smallish Whitetails in S/W Missouri. The Winchester Silvertip bullet is much better on deer. The Hornady and Barnes bullets are better suited for larger game.... I would say, Elk and larger/heavier animals. I haven't tried the Alaska Bullet Works bullets on game but from limited testing I would say they fall into the same category as the Barnes bullets, great for Big Game. 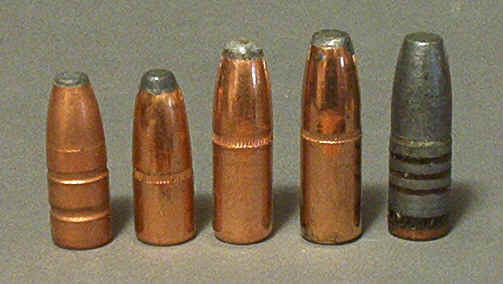 Today the .50 Alaskan is a very popular conversion of the .348 Winchester cartridge. Blown out to a straight case, the big gun hits hard on both ends! Regan Nonneman of Nonneman Custom Rifles is a premier builder of these big bores, as are a few other custom leversmiths around the country.